It's Friday - hurray! I wanted to show you all a comfy casual outfit today. Now if you have followed my blog for a while, you'll know that I hardly ever wear trousers or jumpsuits but in recent months I have been trying to push myself and wear things that are out of my comfort zone. 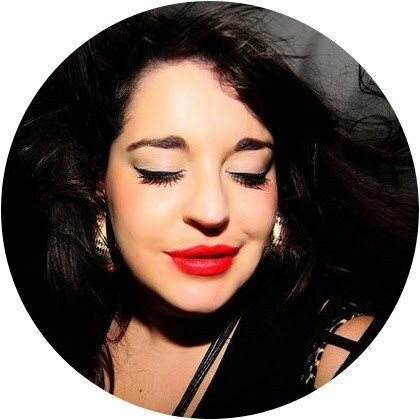 I previously blogged about a black jumpsuit (here) and that was the first time I'd ever tried that sort of style and I love, love, love wearing that jumpsuit now. When Fashionchick recently gifted me a box of treats, I saw they had included a *printed jumpsuit and at first I was a bit apprehensive about trying it on but once it was on; I felt so comfortable. You all know that I love putting individual garments together to create my outfits but sometimes you just want to throw on one item and be done with it! 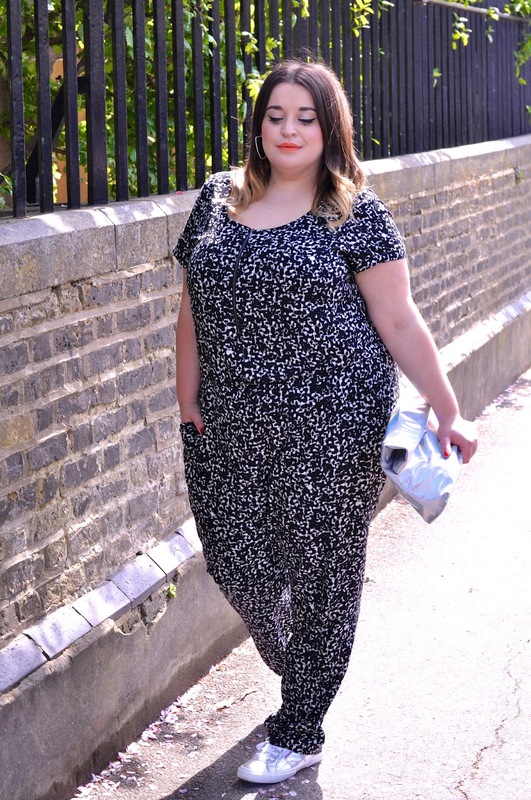 You might be surprised to know that this jumpsuit is from Marks and Spencers and is available in their PLUS range in sizes 18 - 32 and you should check out what they have online because they have some lovely bits. You can also buy this particular jumpsuit from their main range as well. I kept the accessories for the outfit relatively simple and teamed the jumpsuit with my new *Superga Silver Shoes, an old holographic fold over clutch from New Look and matte silver hoops from New Look. Love it! You totally rock this outfit.